Just as the Germans should never forget the Holocaust, Americans should never forget slavery, segregation, and the lynching tree.... 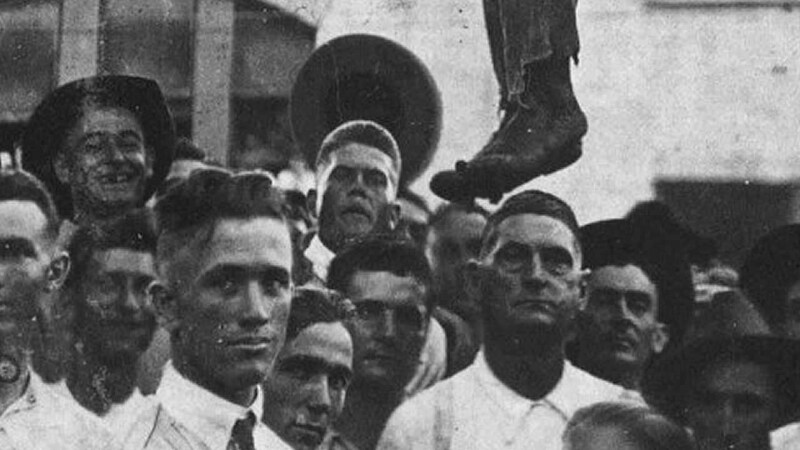 The cross of Jesus and the lynching tree of black victims are not literally the same--historically or theologically. Yet these two symbols or images are closely linked to Jesus' spiritual meaning for black and white life together in what historian Robert Handy has called 'Christian America.' Blacks and whites are bound together in Christ by their brutal and beautiful encounter in this land. Neither blacks nor whites can be understood fully without reference to the other because of their common religious heritage as well as their joint relationship to the lynching experience.... We are bound together in Amercian by faith and tragedy. 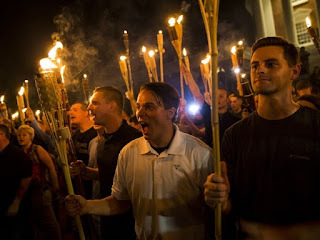 All the hatred we have expressed toward one another cannot destroy the profound mutual love and solidarity that flow deeply between us.... No two people in America have had more violent and loving encounters than black and white people. We were made brothers and sisters by the blood of the lynching tree, the blood of sexual union, and the blood of the cross of Jesus. No gulf between blacks and whites is too great to overcome, for our beauty is more enduring than our brutality. What God joined together, no one can tear apart.... If America has the courage to confront the great sin and ongoing legacy of white supremacy with repentance and reparation there is hope 'beyond tragedy.'" --James H. Cone, The Cross and the Lynching Tree (2011), 164-166. The True Random Number Generator has spoken and the winner of Salvation by Allegiance Alone by Matthew Bates is the owner of comment 28: Corby Amos. Read it. 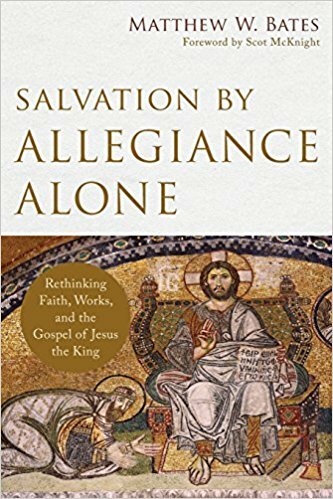 Great book - distinction between gospel culture and salvation culture in Chapter 9 is worth price of book. Would love to win this copy and give to my pastor. Corby, if you could email me at chris.keith@stmarys.ac.uk, I'll make sure you get the copy of Matthew Bates's book. The late, great Frederick Douglass (more great than late according some) was repulsed by the aggrandizement of Robert E. Lee. After the Civil War, attempts to rehabilitate Lee's honor included visits to the White House and newspaper editorials praising his character. The hope (and this came from Lincoln first and foremost) was that the country would look forward to a renewed unity rather than backward to a litany of grievances. In other words, it was politically advantageous (read: politically correct) to rehabilitate men like Lee via a generous forgetfulness. But from Douglass' perspective the effort to honor Lee was tantamount to propaganda. With Lee in mind and with tongue in cheek, Douglass mused that "the soldier who kills the most men in battle, even in a bad cause, is the greatest Christian, and entitled to the highest place in heaven." Cultural forgetfulness can happen in many different ways. But the shrewd political mind can manipulate this process if indeed that is deemed advantageous. One way to coax a nation toward forgetfulness is by replacing one emphasis with another. In Lee's case, his sins were cloaked by newspaper editorials extolling his "Christian" character. Deep down he was a "gentleman" according to the new narrative. This narrative spoke of the man's character over and against his treasonous and morally bankrupt acts of war. A generous forgetfulness. In 1894 Douglass wrote that he was "not indifferent to the claims of a generous forgetfulness, but whatever else I may forget, I shall never forget the difference between those who fought for liberty and those who fought for slavery; between those who fought to save the republic and those who fought to destroy it." One of the consequences for rehabilitating Lee was to reinforce the social status of Douglass' people. In choosing to remember Lee as a fine, Christian gentleman, the nation was also choosing against the remembrance of other realities. I.e. the invention of Lee's moral character erected cultural blinders to the reality of continued persecution of the black populace. As a nation we were more concerned with triaging "white" shame and less concerned with remembering our collective sin. So Lee became a symbol to triage southern honor. And America began the process of white-washing its young, bloody history. Lee's legacy was on the same post-war trajectory a generation later. His great sin continued to diminish while his great character continued to increase. This trajectory can be traced into the era of modern media. Many (not all) statues and memorials of Robert E. Lee were erected on the southern landscape from the 1920s to the 60s. By the 1960s Lee's symbolic star had all but eclipsed his moral failure in the hearts of many "white" Americans. So we must ask, what does such a symbol mean if erected during Jim Crow and the Civil Rights movement? Haven't we moved beyond the category of a "generous forgetfulness" into outright propaganda? And isn't this exactly what Frederick Douglass warned us about? 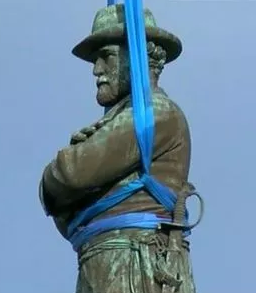 If indeed some of these statues are relocated to museums we may have a partial solution. But I would suggest that these statues (if saved at all) are not appropriately placed in Civil War museums. They do not represent the Civil War. Rather, they represent morally bankrupt reactions to the African American experience. These statues do not represent a generous forgetfulness; they represent Jim Crow propaganda and anti-Civil Rights propaganda. In choosing to keep this propaganda around, we continue to enact a historic forgetfulness bordering on cultural amnesia. Of course, the chief problem with amnesia is that identities formed by past perceptions of reality are lost. We are in danger of losing our real-world continuity with history. In short, these statues facilitate our continued forgetfulness of history. Finally, I have no doubt that our historic forgetfulness is built from a seed of truth. Lee exhibited certain elements of upright character. Perhaps he was a gentleman when he wasn't bathed in the blood of entire towns. I also have no doubt that Hitler was a conscientious vegetarian. But I wouldn't tolerate a statue of him outside Whole Foods. 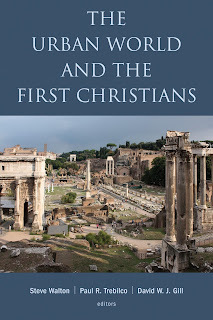 I'm happy to announce that the next publication from the Centre for the Social-Scientific Study of the Bible at St Mary's University, Twickenham is available from Eerdmans Publishing Company. 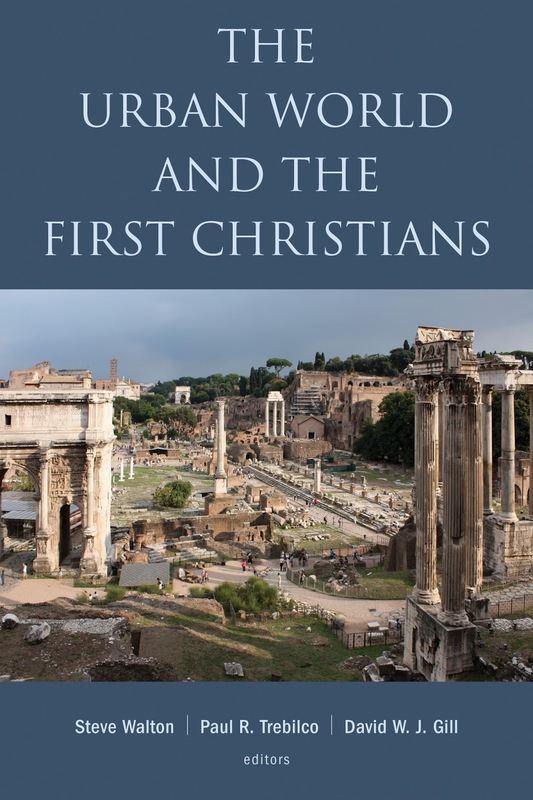 The Urban World of the First Christians is a collection of essays from our 2015 Cities of God? 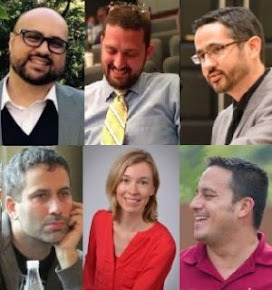 conference that assess early Christians' engagement with urban contexts. It's edited by Steve Walton, Paul Trebilco, and David Gill. 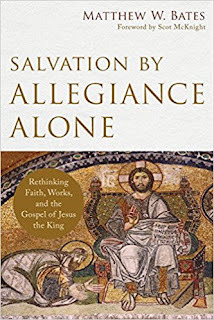 Once our current book giveaway wraps up, we'll see if our friends at Eerdmans might let us do a giveaway of this one. Just two days ago, I mentioned that the forthcoming issue of Journal for the Study of the New Testament would feature a back-and-forth between me and F. Gerald Downing regarding my article, "The Narratives of the Gospels and the Quest for the Historical Jesus: Current Debates, Prior Debates, and the Goal of Historical Jesus Research" (JSNT 38.4 : 426-55), and that I would post links to the articles once they're ready. F. Gerald Downing, "Feasible Researches in Historical Jesus Tradition: A Critical Response to Chris Keith." Chris Keith, "Yes and No: A Critical Response to F. Gerald Downing." 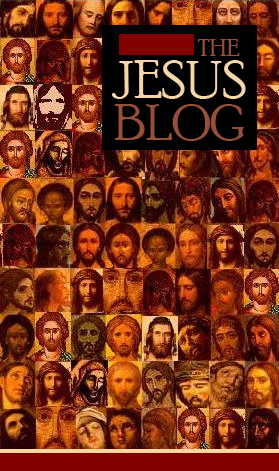 Unfortunately, I can't simply post the pdfs, but if any readers of the Jesus Blog would like to have a copy of my essay for educational purposes, you are welcome to write to me at chris.keith@stmarys.ac.uk. 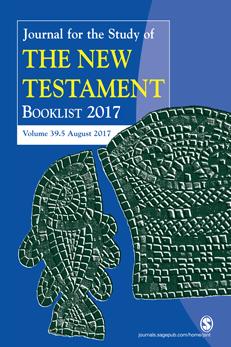 The forthcoming issue of Journal for the Study of the New Testament will feature a critical response to my "The Narratives of the Gospels and the Historical Jesus: Current Debates, Prior Debates, and the Goal of Historical Jesus Research" (JSNT 38.4: 426-55) from F. Gerald Downing, entitled "Feasible Researches in Historical Jesus Tradition: A Critical Response to Chris Keith." I accepted an editorial invitation to respond, and that piece will follow Downing's article ("Yes and No: A Critical Response to F. Gerald Downing"). I am not surprised to have received a critical response to my earlier article. 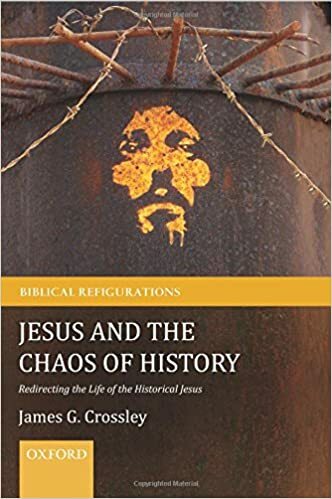 Historical Jesus studies is always a hotly debated subfield within New Testament studies, and right now there is much movement in the discussion with new proposals, defenses of the established, etc., etc. I made much effort in my response to Downing not simply to say, "He has misunderstood me here," because we all know that those are particularly boring responses. I'm relatively sure that I failed, though, because I do think that he misunderstood much of what I was arguing, and some of that may have been my fault for not being clear enough. I tried, therefore, to clarify. Nevertheless, there are simply some fundamental disagreements between us, and that's fine. "According to Downing, 'A claim to "authenticity" is a claim to certainty'. No, it is not." I will share the links to both articles when they're available. I'm told this issue will be out in September.